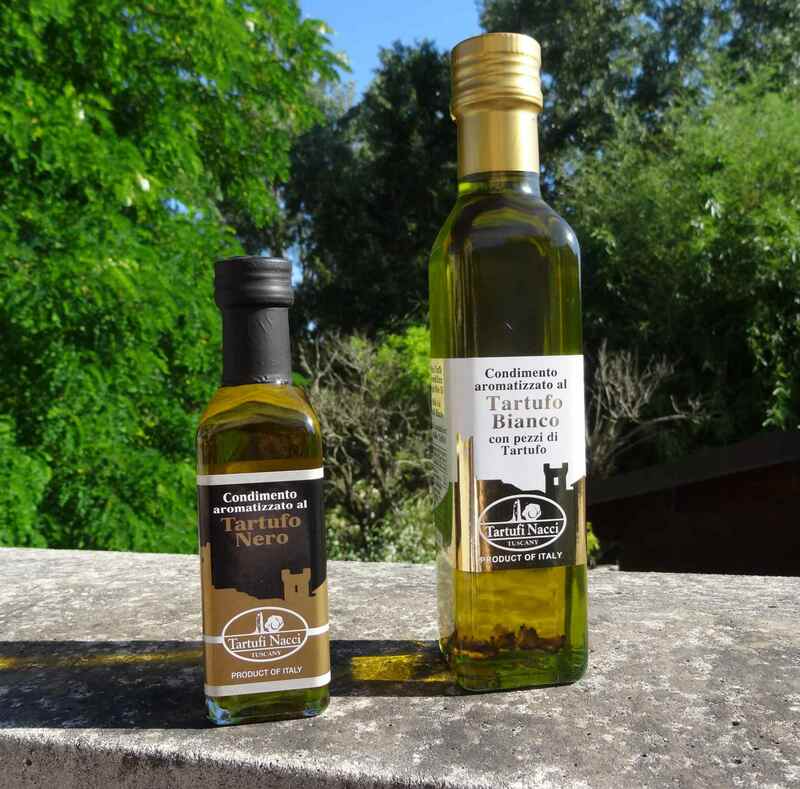 Dressing flavoured with White or Black truffle in Extra virgin olive oil. Ingredients: Extra virgin olive oil, White Truffle aroma / Black Truffle aroma. Available also with pieces of truffle. 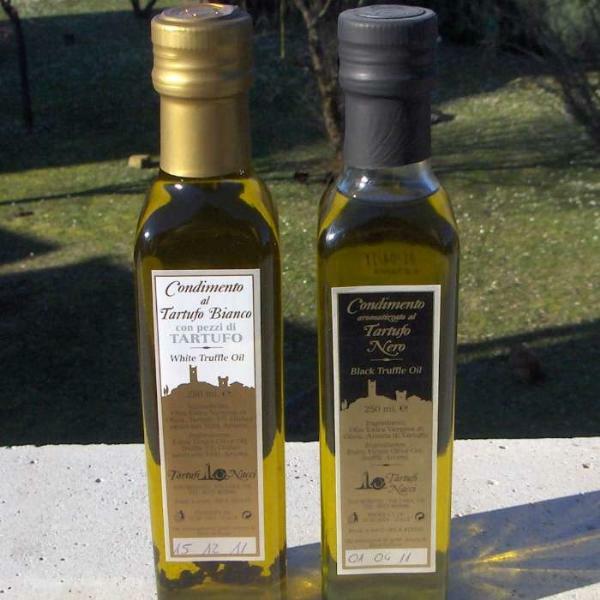 Suggestion: Very good for make truffled pasta and rice, to prepare salad, bread and sandwich, over eggs and omelettes. Taste very good also with meal of meat or fish. Shelf life: 2 years room temperature. After opening use within 6 months. Packaging: Bottles ml.55, ml.100, ml.250 & ml.500 and in Tins ml.100 or ml.250. Boxes of 12 bottles.